Center for Invasive Species and Ecosystem Health: Want to move to Wisconsin? 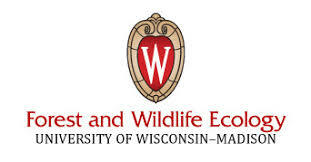 The University of Wisconsin-Madison is looking to hire an assistant professor in the Forest and Wildlife Ecology department of the College of Agricultural & Life Sciences. You, yes you, are needed in the land of dairy to research and teach in forest ecology! Candidates need to have a PhD in forest ecology or in a closely related discipline. To apply check out the job posting here. The anticipated starting date is August 10, 2018.